BBM now available for Windows Phone | BlackBerry Blast! In a not so surprising move, BlackBerry has a version of its BBM software for Windows Phone. 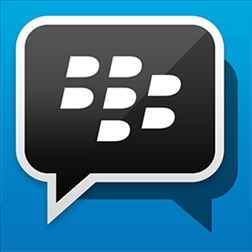 The company hopes the move makes BBM appealing to enterprise customers. In an effort to turn the company around, BlackBerry decided to monetize BBM as a separate service for other platforms. Previously BBM was a favorite service for BlackBerry users, but the company recently opened the service to iOS and Android users. The company has now opened up BBM to the other enterprise focused platform, Windows Phone. Microsoft is seriously behind the mobile curve with Windows Phone, but it does not appear the company will give up anytime soon. It seems likely that Microsoft will slowly but surely increase its marketshare, especially within corporations and government agencies. That could be a win for BlackBerry too!